Every year the Bugle Boy Foundation works with Songwriters Serenade to provide performing songwriters a platform to showcase their skills before their peers, a panel of esteemed judges and an enthusiastic crowd of music lovers. 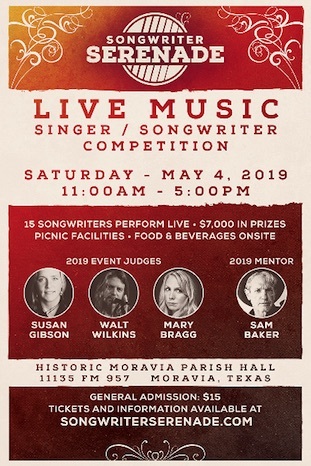 The contest is held on May 4th from 11am-5pm at The Parish Hall in Moravia, Texas. 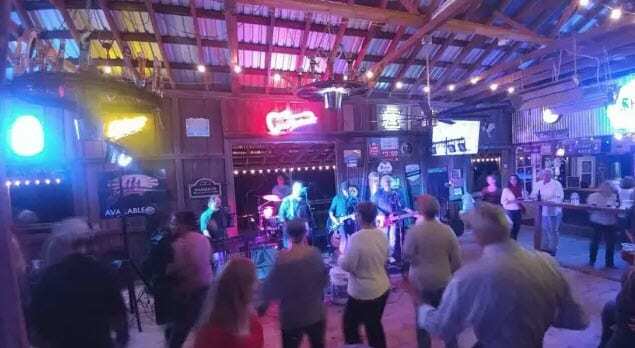 After the contest in Moravia, The Bugle Boy will host an evening concert with the 2019 winner opening for Songwriter Serenade judges Walt Wilkins, Susan Gibson & Mary Bragg & Sam Baker. Learn more about the Songwriter Serenade.